Home Off Beat	Lego splash, crash rather! If you think this guy intends to gauge the depth of the pool, your foresight needs some correction. 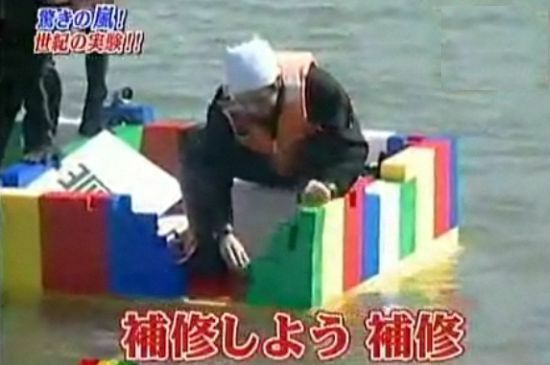 Well, this chap is trying to get on to the boat, crafted in Lego by a Japanese boy-band Arashi. It, in actual fact, is a working model; kept floating for sometime and buckled ultimately. Nonetheless, itâs a brave concept and inventive as well. iTeddy; the fun lies in the tummy!